Happy 8th Anniversary to my dearest Jaim. 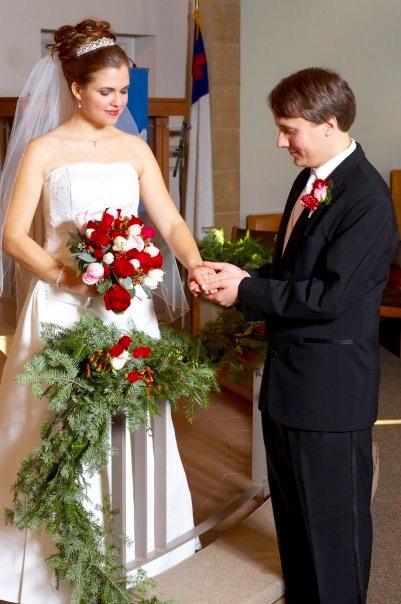 Our lives became filled with unexpected challenges within months of getting married. I was diagnosed with a life-threatening infection which led to my needing to undergo multiple painful surgeries and a hospitalization where I was told I may not survive. When we should have been enjoying our lives as newlyweds, a home-care nurse would arrive each morning to our house where she would tend to my surgical wound to help me recover. Shortly after, our carefree way of eating and living changed when a severe gluten intolerance (most likely celiac) was recognized by a functional medicine doctor trying to point an answer to my debilitating fatigue, pain and gastrointestinal issues. These are just a few of the hardships I have experienced with my health during our marriage. ps. Eight is my favorite number so I’m pretty excited about this anniversary. This is how we celebrated Saturday night. 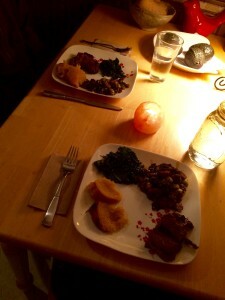 Jaim grilled grass-fed New York strip steaks and they were phenomenal! 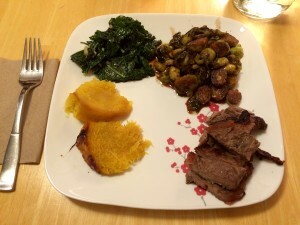 We served it with brussels sprouts in a balsamic reduction (Jaim made these and modified it from a recipe he found last year to make it AIP), sautéed kale with garlic and two kinds of roasted squash. 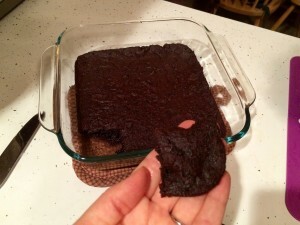 For dessert I made AIP carob brownies. They were really good and such a treat! Tonight after I get home from an appointment with a new provider we are going to see the Peanuts movie. Should be fun. While we usually go all out for our anniversary with more fancy plans, this year I wanted to keep it simple, yet special. I think we succeeded. ***Please join our blog community on Facebook where I share from my heart each day.